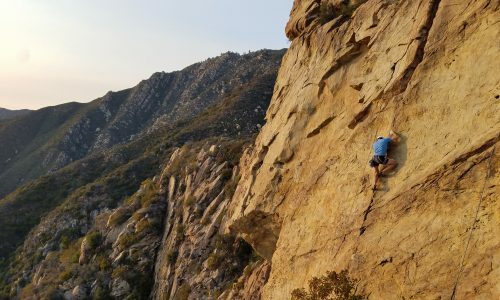 For those in the know, the name pretty much says it all, and that’s exactly whom these garments are built for: folks willing to get up really early to achieve their outdoor goals. This is not sissy stuff. You are either committed to getting the goods at first light or you’re not. And truth be told, First Lite will help you achieve your hard charging dreams. The brand was born from two friends who grew up racing bikes and competitive skiing out West. They also hunted, and they were diehard Merino wool fans dating back to when Icebreaker was one of the first to bring performance wool to the outdoor market – but they were wearing it with cotton camp shirts on top. Now, not only is First Lite making some of the finest, most comfortable, most breathable, and best fitting ultrafine Merino garments on the market, but it is the first company to ever use sublimated printing onto Merino, to achieve a realistic and functional camo pattern. Now while Gear Institute rarely covers hunt-fish specific products, these folks from Ketchum, Idaho deserve special mention. First Lite was founded by Scott Robinson and Kenton Carruth, coming from a background in the winter sports industry, joined by Ben Flandro, previously with Smith Optics as the helmet product manager, and according to the brand’s website, it’s rare for less than five dogs to be in the office on any given day, running around the abundant taxidermy, moto shop and ammo reloading stations. 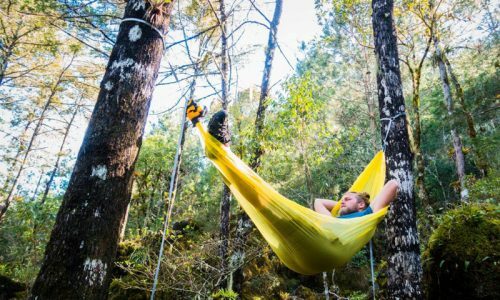 Like the rest of us, they recognized the naturally odor resistant, temperature-regulating benefits of Merino. Their brand philosophy: They wanted Merino in effective camouflage so that they could remain concealed as they put on and took off layers across the varying conditions of the Idaho backcountry. They eventually partnered with 37.5 fabric technology (formerly Cocona) that has been shown to accelerate drying and breathe better than anything else on the market. 37.5 works with apparel brands including Salomon, Bontrager, Adidas, Carhartt and Rab to name just a few. 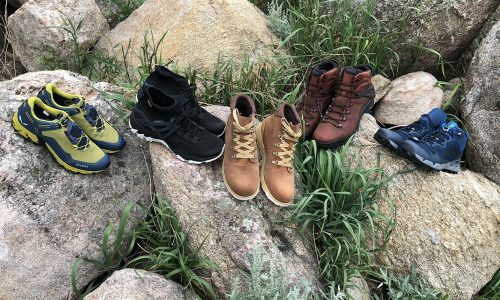 Recently First Lite wool apparel was tested by 37.5 side by side with a couple other wool brands, and the breathability of fine micron wool with about a third made up of 37.5 yarns basically blew the other brands away. 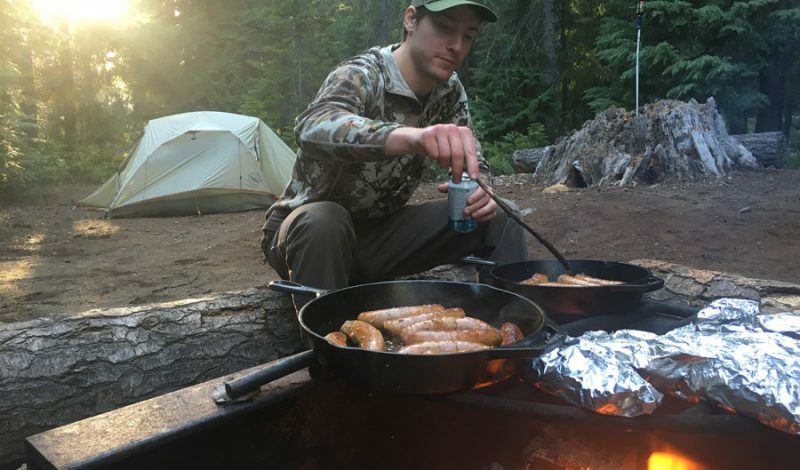 First Lite eventually added highly breathable, waterproof, lightweight outerwear to the line, giving them a complete system for extreme outdoor conditions. Each piece is batch-numbered so they can track quality or concerns as consumers get out and tear this stuff up. Personally I’ve been wearing the neck gaiter and the ¾-length long johns every day for skiing and hiking over the last month and loving it. I also have become a big fan of First Lite employee and athlete @outdoors_allie, who does a better job showing you and telling you about the product in this video than I ever could. Another highlight piece is the Chama Hoody, a put-it-on, leave-it-on super comfortable mid-weight (230 gram) hoody. 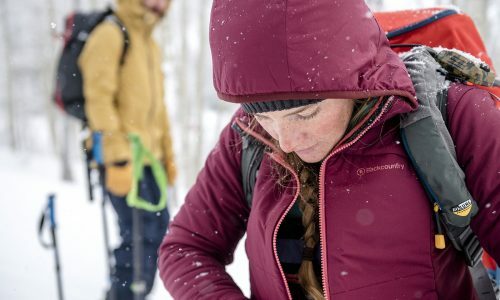 The articulated hood adds warmth (and concealment) and is endowed with all the details you might expect like thumb loops and a handy stash pocket on the sleeve. First Lite sells primarily from their own website but is also sold in specialty shops and in Bass Pro, Midway USA, Scheels and Blackovis.com. Go hunt some down for the holidays, no matter what your end use.